Payment policy: 100% fees + 100% MRT paid weekly, when payments are distributed the cost of the transfer transaction will be subtracted from the amount the leaser receives. We’re a team of crypto pioneers scattered around Europe. Yes to all features that will improve the long term viability and health of the Waves platform ecosystem. We are a team of development, design and finance experts. Security, compliance and transparency are important to us. The pool runs in an isolated and locked down VPS. Our operations are based in Switzerland, where the regulatory environment is favorable. 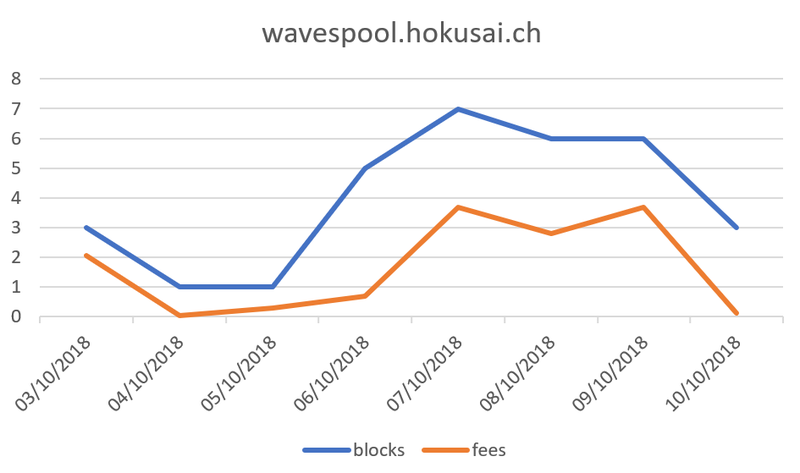 We just processed the pool’s fees from blocks 1150800 to 1160830, a total of 16.10679117 $Waves and 383.51 MRT were paid to our leasers. 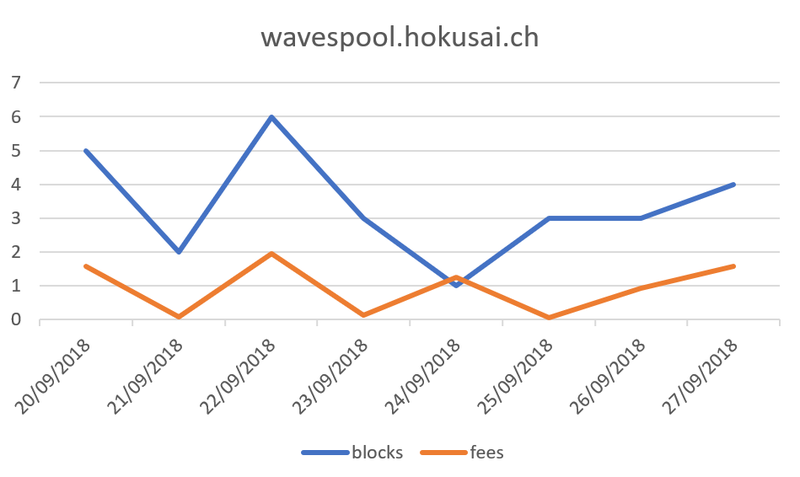 We just processed the pool’s fees from blocks 1160831 to 1171095, a total of 11.9657907 Waves and 253.78 MRT were paid to our leasers. Hi good afternoon, What days do you pay and how much do you pay for .1 waves? The earnings from a Lease are not fixed. 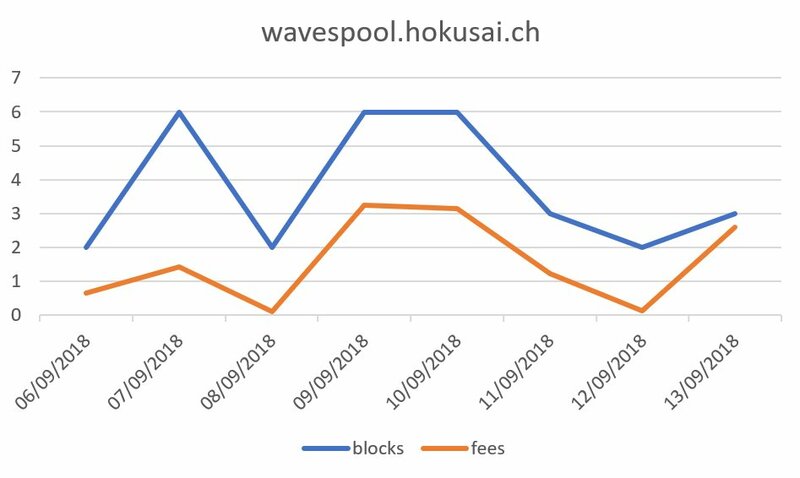 The amount of Waves the pool accumulates depend on the number of forged blocks and the fees that were paid in those blocks. Every Thursday we distribute 100% of the earned fees to our leasers according to their share. With a total stake of around 115k Waves the pool collected fess of a little less than 12 Waves last week. As stated before this amount was distributed among the leasers. The yearly return is expected to be around 5% on your investment. These are the numbers. I’m sorry to say that for such a small amount your return will be virtually nothing. It’s not really advisable to lease that amount. 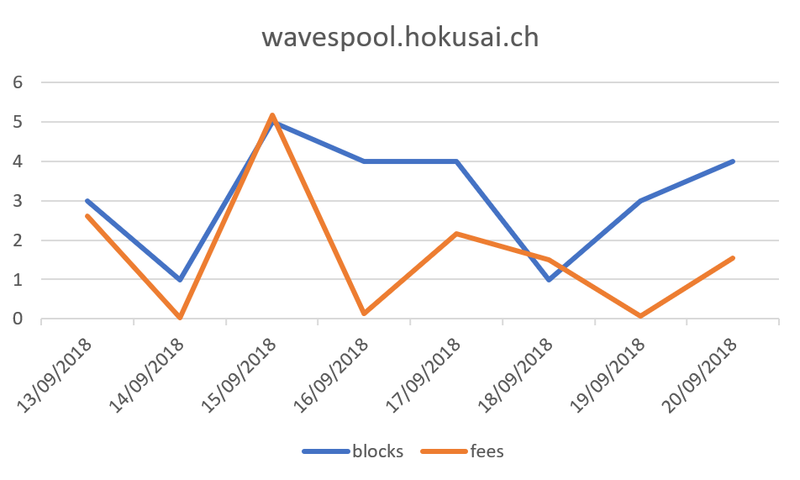 In the past it was possible to perform transfers without actually paying for those transactions, but with the activation of Sponsored Fee Transactions that’s no longer possible. A lot of the generating nodes, us included would use this capacity to pay their leasers. As stated before, this is no longer possible. We are still committed to our policy to distribute 100% of the revenue, but the transfers fees need to be payed. So we will be changing our payment policy slightly. Starting next Thursday a flat fee will be subtracted from every payment we make. We consider this method to be fair to everybody, as each leaser will pay for their own costs. Just updated to Waves node 0.14.5, which brings some important script performance fixes. 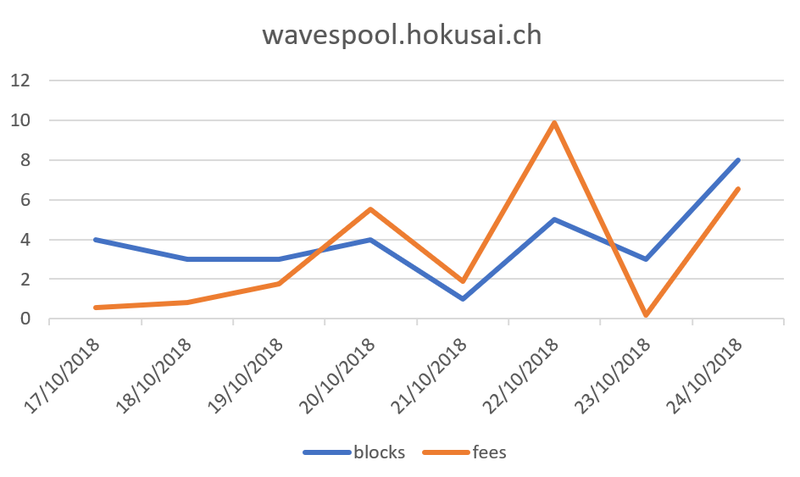 We just processed the pool’s fees from blocks 1181221 to 1191490, a total of 5.55189952 Waves and 212.52 MRT were paid to our leasers. Please remember we have announced a new policy regarding payments and fees. 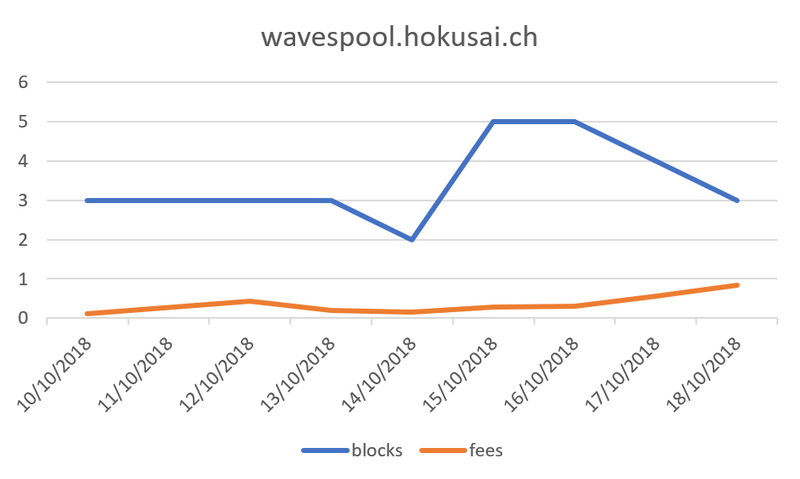 We have just updated our node to Waves Version 0.14.6. 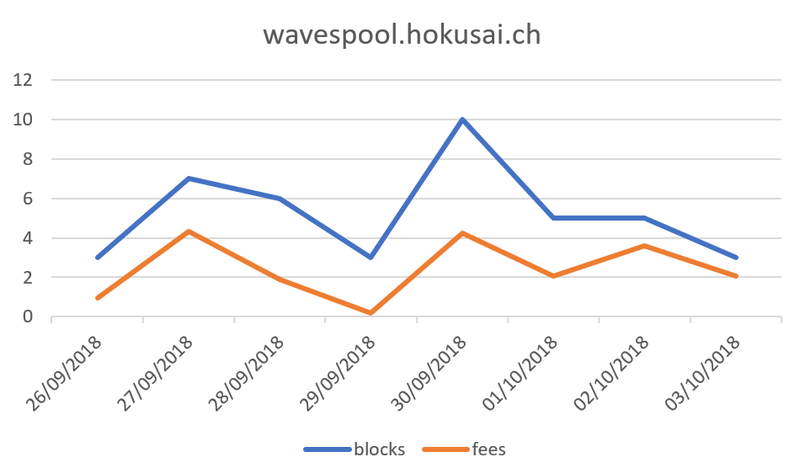 We just processed the pool’s fees from blocks 1191491 to 1201730, a total of 17.03891284 Waves and 319.8 MRT were paid to our leasers. Please make sure you have read about our new distribution policy. 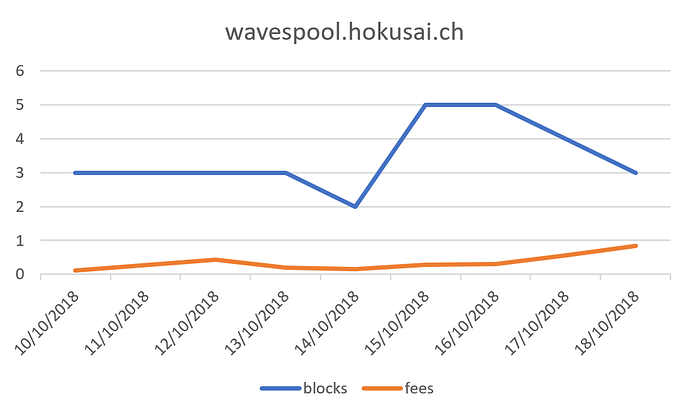 We just processed the pool’s fees from blocks 1201731 to 1211940, a total of 11.18567109 Waves and 241.42 MRT were paid to our leasers. We just processed the pool’s fees from blocks 1211941 to 1222380, a total of 2.65724151 Waves and 214.89 MRT were paid to our leasers. We just processed the pool’s fees from blocks 1222381 to 1232510, a total of 25.6844504 Waves and 254.24 MRT were paid to our leasers. 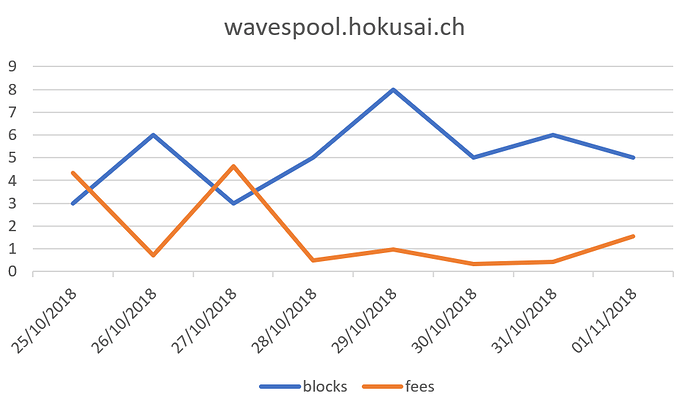 We just updated to Waves node version 0.14.7! We just processed the pool’s fees from blocks 1232511 to 1243270, a total of 13.33113542 Waves and 312.42 MRT were paid to our leasers. where is this week payment? Last week’s Waves and MRT were issued Thursday as normal. Please make sure you have read the statement about our current distribution policy. A a flat fee will be subtracted from every payment we make to cover the transfer costs. This was announced here and on Twitter some time ago. If you are leasing a very small amount your earnings might not be enough to cover for that cost. You might want to reconsider your lease if that’s the case.